Source: Ira D. Sankey and P.P. Bliss, eds., Gospel Hymns No. 2 (Cincinnati: John Church, 1876), #36, p. 38. "At midnight there was a cry made, behold the Bridegroom cometh." - Matt. 25 6. All come from Him alone. And all may enter in. Whose lamps are trimmed and burning. 2. Go forth, go forth to meet Him! And joy eternal find. Refrain. Will open ne'er again. Refrain. 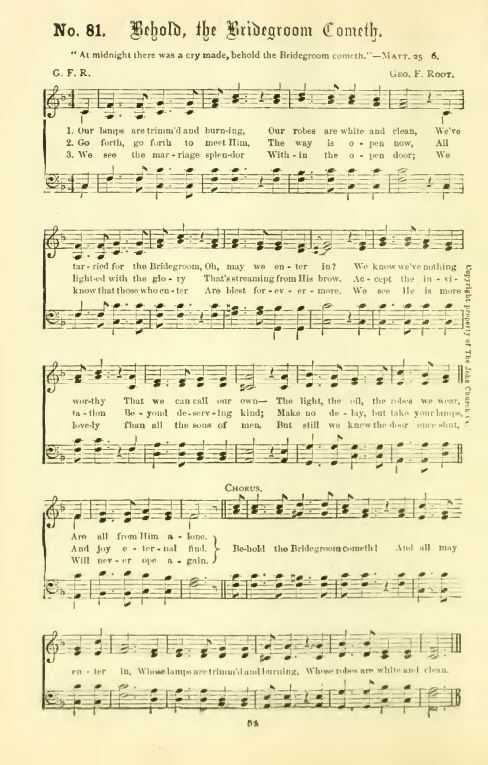 Sheet Music from Ira D. Sankey and P. P. Bliss, eds., Gospel Hymns No. 2 (Toronto: Coop, Clark & Co., 1877), #38, p. 36. It had been printed the year before by the John Church Co., Cincinnati, and The Bigelo & Main Co., Chicago. 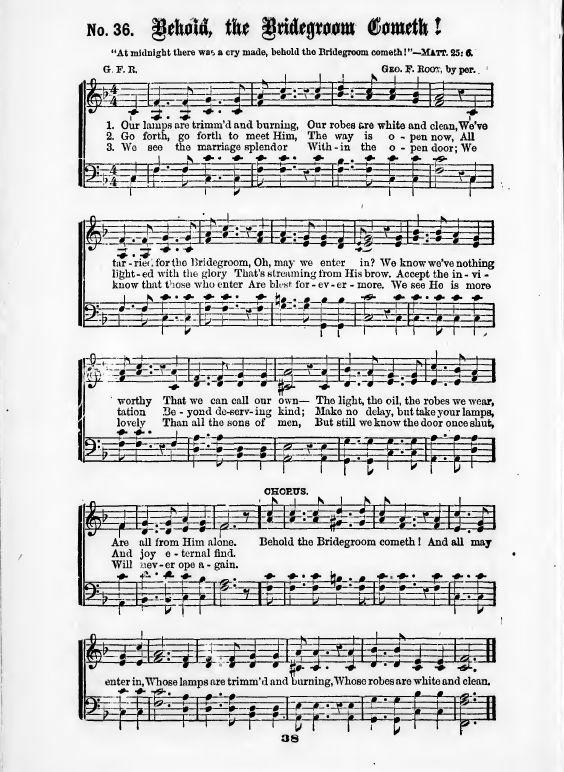 Sheet Music from Ira D. Sankey, et all., Gospel Hymns, Nos. 1 to 6 Complete. Excelsior Edition. Cincinnati: The John Church Co., 1896), #81, p. 54.